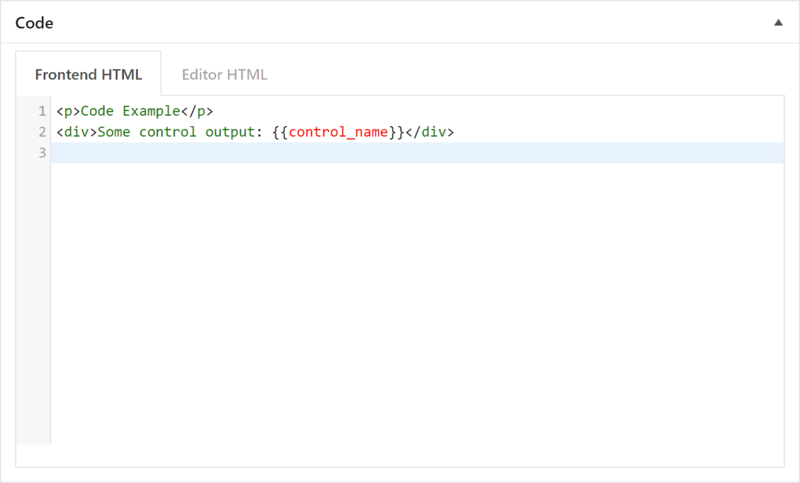 To show the block on the site page or/and the block preview in the editor, you need to add output HTML. These code editors support HTML output with Handlebars syntax. Note: if you use blocks as Metaboxes, you may leave these code editors blank.